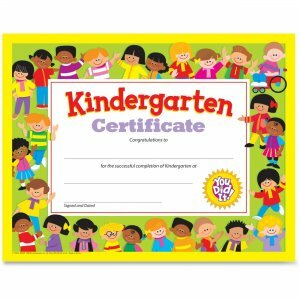 Celebrate early learning with these kindergarten certificates. Recognize children's first school experiences and give them a feeling of success. Charming design and message celebrate participation and completion. Letter-size certificate is printer-compatible and ready to frame.